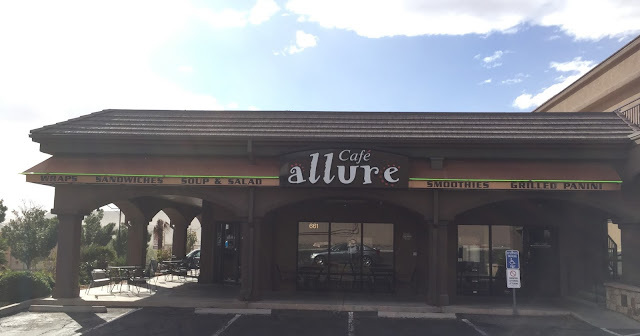 One of my favorite lunch spots in St. George is Cafe Allure. It recently changed it's name from Camille's but the menu is the same with the exception of some added pasta plates. My favorite menu items are the Chipotle Chicken Panini and Santa Fe Chicken Wrap. YUM! I've never tried anything there that I haven't liked. They also have some breakfast items but I have never tried them before. One of my favorite places for lunch! Love it. I also love that they have outdoor seating.